If you see a giant orange bazooka gun firing bullets into the ocean, don’t panic; it may just be the Longreach Buoyancy Deployment System, a bazooka that shoots Life Rings (water-activated buoyancy devices) at drowning victims. The system, designed by Samuel Adeloju of Australia, won this year’s James Dyson Award. 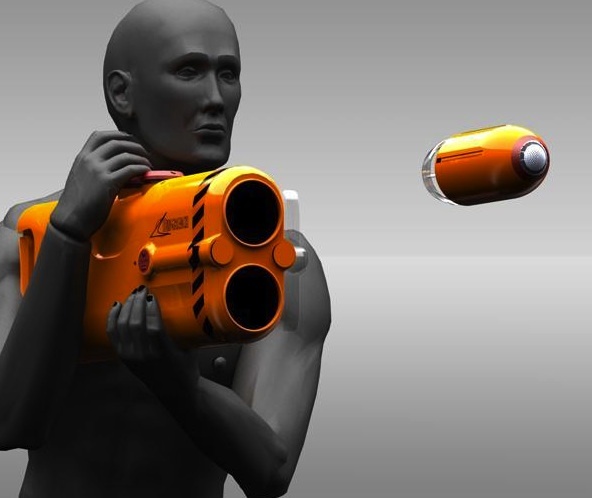 Adeloju’s ultra-portable system deploys rapidly expanding foam floatation devices that stay in the shape of a bullet until it they hit water. The bazooka also comes with flares for night-time illumination, and the life rings are decked out with lights so that rescuers can track them down. The Longreach isn’t yet available for commercial use, but it is set to begin field trials with Surf Life Saving NSW in the next few months. 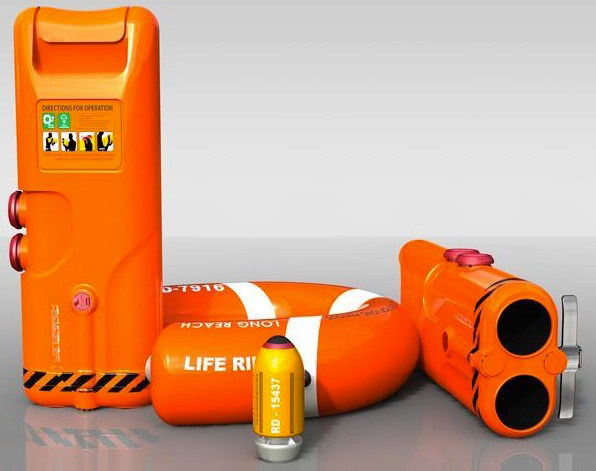 If you see a giant orange bazooka gun firing bullets into the ocean, don't panic; it may just be the Longreach Buoyancy Deployment System, a bazooka that shoots Life Rings (water-activated buoyancy devices) at drowning victims. The system, designed by Samuel Adeloju of Australia, won this year's James Dyson Award.